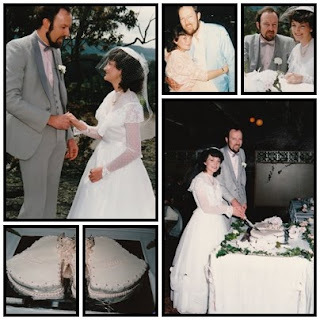 Today John & I are celebrating our 25th Wedding Anniversary. My parents were so proud of me and they just adored John. 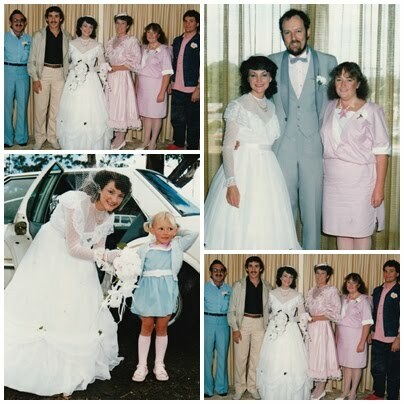 My sister Davina was my matron of honour and niece Simone was my flower girl & her brother (my nephew) Shawn our pageboy. we were married at hanging rock, a beautiful setting with the Shoalhaven river flowing behind us. John's friend Herbie (who was born on the same day as John) was our best man. We were married on my sister Jeneen 20th birthday and my niece Kaycee's 4th birthday. The group photo is me with my brothers & sisters before we left for the ceremony. My sister Jeneen top right and niece KC bottom left. Love you John - thank you for sharing your life with me. Lookig forward to the next 25. Congratulations to you and your DH, Gail. 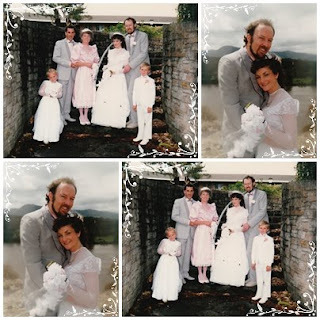 Happy Anniversary Gail and John, the photos are beautiful. You made a beautiful bride Gail. Happy anniversary to you both, Gail. 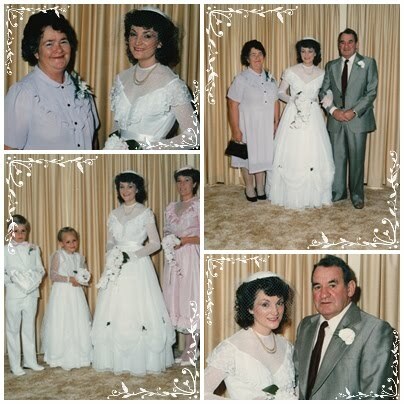 The wedding memories are so beautiful. May you be blessed with many more years of bliss. Happy anniversary and best wishes for the next 25 years together. Dear Gail, congratulations on 25 years. Hope that you have a great time celebrating. I hope that it is filled with lots of remembering. Big Big Hugs to you both. Happy Anniversary Gail! What a beautiful bride you were, and I am sure still are ;)! I hope your next 25 years will be filled with much happiness and adventure - God bless you both! thx for celebrating & sharing this memory walk with us..
i am sooo plsd for you to have these memories to share!